When you come to Bubbalou’s, we want you to feel like family. We want to you to get good, BBQ straight off the pit, side dishes that will make your mouth water and and an experience that is unique to our place. That’s a tall order, but it’s a promise we do our best to make good on every day we open the doors. At Bubbalou’s, a lot of folks say we have our own vibe. And that is true. We’re not your typical BBQ joint. We’re better than that. It all starts with Bubbalou’s mouth-watering Bar-B-Que, from the world famous baby back ribs to the tantalizing smoked chicken. You won’t find better Bar-B-Que anywhere in Orlando, and that’s why Bubbalou’s Bodacious BBQ has been recognized by USA Today, Southern Living, The New York Times and The Food Network. Bubbalou’s Bodacious BBQ has a long history of cooking up great, award-winning Southern-Style Bar-B-Que in Orlando. Our Secret is to do it the traditional old-fashioned way – use quality meats cooked low and slow over a hard wood-fire and then hand rubbed with our secret recipe seasons and lightly topped with a mouthwatering, award-winning bar-b-que sauce. At Bubbalou’s Bodacious BBQ we focus on our guests. From the time you walk through the door until the time you leave we want to be the best we can be. You will be welcomed like family and then we make every effort to ensure you enjoy your meal and your experience at one of Orlando’s most unique restaurants. Weather you eat in one of our five Central Florida BBQ restaurants, get it to go or have your meal catered, there’s something for everyone at Bubbalou’s Bodacious BBQ. You can pick from a variety of items which have been slow cooked over a hard wood fire, including our famous Baby Back Ribs, Chicken, Beef, Pork, and other tasty choices. You simply cannot go wrong. 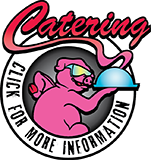 While we all know that Bubbalou’s Bodacious BBQ is the best in Central Florida and the most hospitable and delicious BBQ catering company in Orlando, you don’t have to take our word for it. 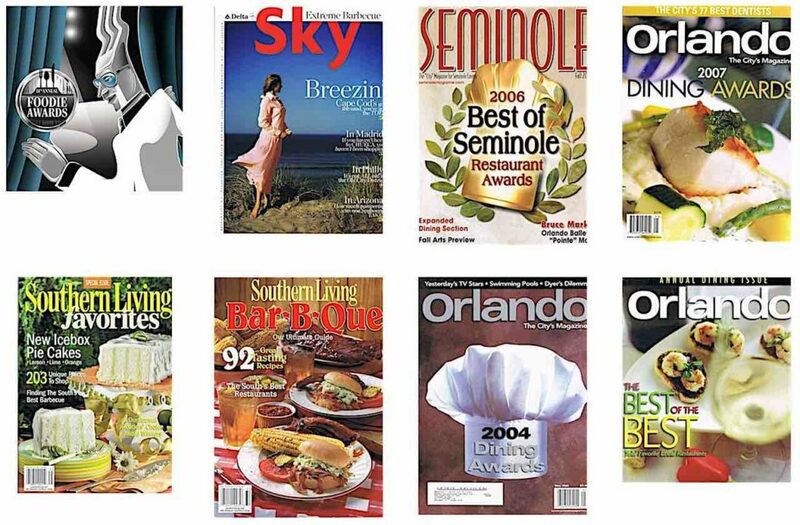 Awards abound and some of the most well known national publications have featured Bubbalou’s Bodacious BBQ. To begin with, Zagat’s Restaurant Surveys named Bubbalou’s as one of America’s Best Cheap Eats. Then, periodicals such as Southern Living, USA Today, the New York Times, Fortune Magazine and Delta Sky Magazine have recognized Bubbalou’s Bodacious BBQ as one of America’s Favorite BBQ Restaurants. Even CNN and The Food Network have picked Bubbalou’s as Central Florida’s #1 BBQ and catering company. Naturally, local publications such as the Orlando Sentinel, Orlando Magazine and Orlando Weekly have also come to the conclusion that there is no match for Bubbalou’s Bodacious BBQ. While each Bubbalou’s location has it’s own menu, the Bubbalou’s commitment to the finest quality ingredients and preparations remains the same. Come try us today to see why Bubbalou’s Bodacious BBQ has been Orlando’s favorite since 1986. No matter who you are, there’s a little something for everyone at Bubbalou’s Bodacious BBQ.